A romance with royalty like Prince William falling in love with a commoner like Kate Middleton fascinates us perhaps because it is a picture of what Jesus has done with us. We see other captivating examples. Ahasuerus, king of a great kingdom fell in love with the fatherless captive Hadassah also known as the “fair and beautiful” young virgin Esther. And the elder rich Boaz fell in love with the young poor stranger in Israel, Ruth. At marriage the wife lays aside her name and takes on the name of her husband. 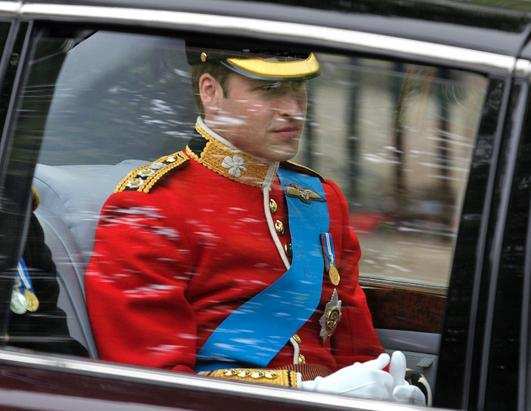 In the case of British royalty, Prince William's current title is Prince William of Wales. Under the rules of British titles, his wife born a commoner would be styled Princess William of Wales rather than Princess Kate, for she was not born a princess. (However, most will still affectionately call her Princess Kate.) Likewise we Christians are royalty only in Christ and we take on His name and loose our old identity in Him. In the past on the day of the marriage, the bride, concealed under a thick veil, was conducted to her future husband's home. (Easton’s Bible Dictionary) This is how Jacob was tricked into marrying Leah. I found it interesting that William and Kate after their wedding went to Buckingham Palace, the home of a Prince. Christ went to prepare a place for us and he will come again and receive us unto himself and our heavenly home. The bride's robe in Revelation 19:8 is white. "And to her was granted that she should be arrayed in fine linen, clean and white: for the fine linen is the righteousness of saints." Today, brides such as Kate Middleton still carry on the custom a veil and of a white gown. This custom today of a white gown still represents her purity. And traditionally Christian weddings have seen the bride's gown and veil covering her from head to toe. This tells her man that she lives for his eyes and his affection alone. Biblical Christians today also cover their bodies as God teaches us in His word. By doing such we are telling God we live for His eyes, His affection, and His approval alone, "forsaking all others'" (the world's) dictates, opinions, and affection. I think that the custom of the husband not being allowed to see the Bride nor her dress until she is led to the altar speaks of anticipation, patience, waiting the proper order of things. Having a groomsman is Biblical: In some Bible times, the husband and bride were not to see each other but live in separate places until the wedding. The friend of the groom (groomsman) carried on communication between the two until the wedding when they could see each other. John 3:28-29 speaks of a "friend of the bridegroom" when John, Jesus' cousin says, "I am not the Christ, but that I am sent before him. He that hath the bride is the bridegroom: but the friend of the bridegroom, which standeth and heareth him, rejoiceth." The groomsman, John the Baptist, communicated with God's people preparing them for the coming of the groom Jesus. Bridesmaids (women of honor) attending the bride is also mentioned in the Bible. Psalm 45:9 Kings' daughters were among thy honourable women: upon thy right hand did stand the queen in gold of Ophir. And from that same verse we see the bride at the groom's right hand and today the married bride marches out on the right hand of bridegroom. Psalm 16:11, "In thy presence is fulness of joy; at thy right hand there are pleasures for evermore." We look forward to spending "forever" with the Groom and living happily ever after. Husband means, the “house-band,” connecting and keeping together the whole family. We know in the past the young man was bound to give a price for the maiden such as in Ruth 4:10. "Moreover Ruth . . . have I purchased to be my wife." Jesus paid the ultimate price for us according to Ephesians 5:25, "Husbands, love your wives, even as Christ also loved the church, and gave Himself for it." Also in Act 20:28, "Take heed . . . to feed the church of God, which he hath purchased with his own blood." Today in our USA culture, the only price is, "forsaking all others, I pledge thee..."
God tells us that marriage is indissoluble during the joint lives of the parties. According to the media itself, unfaithfulness to his marriage vow is the main reason Prince Charles is so unpopular today and many want Prince William his son to be king instead. God's moral law written on our hearts tells us that the husband and wife should be faithful for life. Matthew 19:6 "Wherefore they are no more twain, but one flesh. What therefore God hath joined together, let not man put asunder." Romans 7:2-3 and 1 Corinthians 7:39 also mandate marriage's life long permanence.